It’s Groundhog Day! 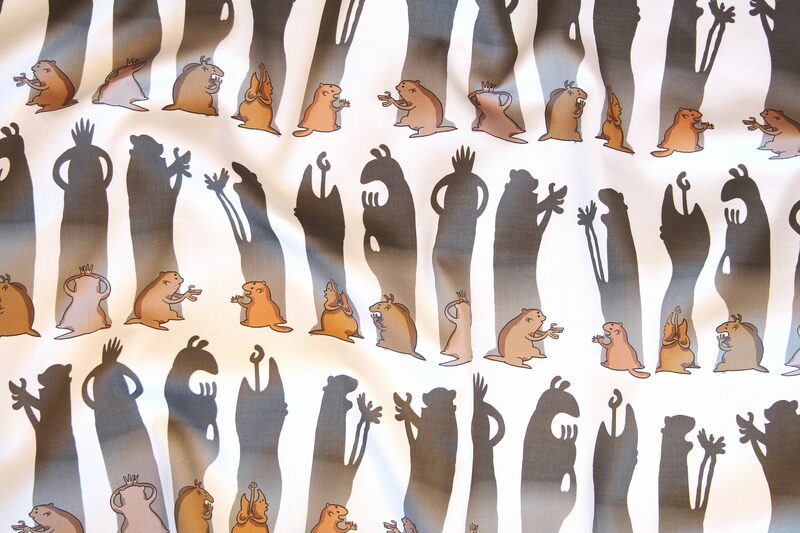 We’re celebrating either six more weeks of winter or not; and I’m celebrating that my Groundhog Design for the Spoonflower contest came in sixth place, securing a place in the coveted Top Ten Bundle! Most of these designs were made for the weekly contest. I love to get inspired by these diverse themes, and working on a design is a nice change of pace from working on my newest book, Global Power: a Discovery in Comics, which is rather content-heavy. For the Calligraphy contest I chose this John Lennon song text. For the Library contest I crammed in a few literary (and one graphic novel) references – can you spot all four? I loved the Cat Damask contest and my design actually did quite well, coming out around fiftieth place out of over 300 entries. If I ever live in a country house and need special wallpaper for the library/drawing room, I’ll use this! For the Rhino Contest I drew Nine Rhinos on Bikes – and lo and behold, they now adorn a children’s bedroom in the North of Holland! The Neighborhood contest was all about drawing you own surroundings. This is the street we live on and the park in fron of our house. A world unto itself! The Tennis contest was fun although I’m not sure this came out as well as it could have. It’s fun to look at, though. Maybe I shouldn’t have used the computer-tennis fields. I didn’t know what a Toile de Jouy was until the contest asked for one with a wintery theme. So here it is – if I have any antique chairs to upholster, I might opt for this design. Or a simple tea towel might be nice as well. All these designs are for sale – as fabric, wallpaper or wrapping paper. You can order them from my Spoonflower Shop. If you want a certain design done a little differently – in size, or color, or whatever – just contact me and I will make it so. The current contest is Rocket themed. Below is my entry – if you like it, please vote for it here!